Fiber Cement Siding | Helpful Advise From A Pro! Well you’ll be glad to know that by having basic math skills you’ll be able to come to a close estimate with room to spare. First of all each home is different and ti’s not just a matter of calculating the square root of this or that but looking at your home’s design , checking for nuances such as it’s unique design and those protuberances and additions to narrow things down so that you order not only what you need but that little bit extra for modifications and specialized customization. Getting to the basics it first calls for you to make a realistic assessment of the surface area of your home. This can be done first by taking a pencil and paper and sketching out the main geometric shapes you see. Squares, rectangles, circles, trapezoids, triangles. If for example the east face of your house is a simple large rectangle with a triangle at top, then associate both shapes as two areas. The height and width of the rectangle gives you the square footage or square yards. Then the triangle at top is base x height calculation. Take into account that the windows area should be included as you’ll be cutting around that. If you have circular windows know you’ll need to have that shape cut from the siding. Now look at the western side of your house. Let’s say you have the same rectangle and triangle configuration but this time there’s an extension halfway down the the rectangle side with a dining area sticking out perhaps ten feet. Then that structure’s area has to be calculated as well for the two sides and front. It can look tricky but the company you’re buying the fiber cement siding from should be able to work with you each step of the way. Now if you’ve done that you’ll need your measuring tape or measuring device and get down to the inch or centimeter leaving room for excess. You’ll then begin to shop for the type of fiber cement siding you’ll need and that is the fun part. Because of the various types of siding you can find something that looks modern or captures that classic type of siding from yesteryear. The more decorative might not be the most expensive so clear communication with the manufacturer is essential here. They may have a discount on volume or type. They might even have discounts regarding new products they want to see on houses as soon as possible. If you’re lucky and you get that deal you are saving a bundle and that goes into the calculation of how how much siding you’ll need as well as overall Cost of Cement Board Siding. Fiber cement siding is a unique product in that it affords protections against any number of environmental challenges like wind, water, cold, and flying debris. It can be of monumental change in regard to energy costs. And on top of that the industry is changing in regard to the decorative side of siding. As more creative minds get to work on these products new and more elaborate forms should emerge. You may also mix and match some types and that means when calculating how much siding you’ll need you’ll need to be precise so you can have the right amount of each type. That’s about the size of it regarding calculating how much fiber cement siding you’ll need. Just basic math and a good eye, good communication with the manufacturer and you should be good to go. Fiber cement siding has far more advantages. First of all it’s strong and durable. You’ll find that the composites that the Fiber Cement Siding Manufacturers have come up with over the decades rivals rock itself. The engineers who develop this Composite Siding know they have to face the standard challenges and more. They don’t settle for one thing but compound the protection by making Composite Siding that not only provides protection but can be modified to meet the cosmetic high marks that exterior siding should to give your home or property that special look. The home is the biggest investment of your life and you don’t want to spend your hard earned money on some modification that will be troublesome and not contribute tot the value, the equity of your property. The Fiber Cement Siding Manufacturers know that they have to keep pace with the latest fiber cement technologies and that means they outpace vinyl siding a country mile. Yes, vinyl siding is cheaper and easier to install but it is also subject to exterior damage that fiber cement siding stands up to . Don’t take this for granted. If you want your home protected then you don’t take second chances at it. You invest in that which is the best and that is fiber cement siding hands down. Yes it’s a bit more expensive and tougher to install but that can be overcome rather easily. Matter of fact the costs you spend on this type of siding is returned so fast you might not remember spending it in the first place. You have the advantage here. You have the high ground with exterior siding protection because the companies that produce this type of siding don’t just toss it at you and leave you alone, no, on the contraray you’ll find the top fiber cement siding companies utilizing the utmost in the latst est technologies and starte of the art processign to provedie you with both service and substance that brigns peace of mind and money to your pockets. Lets take a look at some of this to get it in the right perspective. You’re installing or having installed some fiber cement siding. This siding is impervious to water so right there you can count on protection from water damage. Sure vinyl is waterproof too but not at the level of fiber cement siding. Let the cold sweep through and you’ll find that fiber cement siding beats vinyl hands down. Fiber cement siding doesn’t crack or warp with the temperatures drop below zero. Matter of fact, even in hot weather they don’t crack or melt like vinyl will. No warping and they protect the interior of the home from the hot weather outside and keep the air conditioning cool inside. Same goes for the winter months by keeping the heat inside thus cutting down on the oil and gas and electric costs. vinyl can’t come close there. Impact wise when those errant branches and debris come flying through the air and hit the side of your home, vinyl might tear, take dents and such requiring a major repair job. Not so with fiber cement siding. It’s designed to withstand hurricane force winds. Where vinyl might tear loose and fly away with the wind, fiber cement siding keeps it’s place and takes the beating and looks good doing it. Now down to brass tacks regarding money. Vinyl looks okay, but in comparison to fiber cement siding it couldn’t hold a candle to it. Some of these fiber cement siding designs and variations look so good that they are involved in contests around the country which is why millions and millions of homeowners are choosing them. It’s because the equity of the home advances in leaps and bounds right off the bat. In addition the savings from the energy costs are amazing. It’s like insulation that looks good enough to take a picture with. The cement fiber and other ingredients keep the cold air out and the warm air in and vice versa. It’s water resistance keeps the water outside so that mold and other water related problems can’t get a foot hold. If you’re concerned with Fiber Cement Siding Prices, just do a few searches online and read some Fiber Cement Siding Reviews like this one. Both of the Fiber Cement Siding Manufacturers listed above have comparable Fiber Cement Siding Prices and literature in how to properly plan and easy to follow Fiber Cement Board Installation guides to make your project run smoothly. So it doesn’t take a rocket scientist to see that the choice of siding is clear, fiber cement siding puts vinyl siding on the sidelines. Fiber Cement Siding Cost Explained..
What fiber cement siding does is provides a kind of protection that rock and wood normally might do. Since brick is not in the picture here for siding, we’re talking about the kind of siding that normally would be wood, vinyl, or even aluminum. These siding preferences have proven effective and useful for years, especially wood. However with the siding of centuries, wood planks, aluminum and vinyl came as a a substitute, less expensive and easier to install. Aluminum and vinyl didn’t mold or deteriorate nor needed the excess care that wood did. These non organic siding options were easy to install and left alone until replacement or touch ups were needed. The aluminum and vinyl solutions were cool and looked okay but if harsh weather and impact from debris, rust, or harsh sunlight and heat hit, both sidings has to be replaced. That became expensive and a royal pain. That’s when the idea of fiber cement siding came along and it’s a good thing it did. The Fiber Cement Siding Cost Comparison has advantages far above the traditional siding options. Unlike wood it doesn’t rot nor does it burn. Unlike aluminum it doesn’t corrode and it can take an impact without the denting which can’t be repaired but has to be replaced like what happens to aluminum. It doesn’t warp or melt like vinyl does nor does it tear. In fact, fiber cement siding is resistant to impact to the point it can withstand hurricane force winds. The manufacturers of the best brands of fiber cement siding spend years, sometimes a decade or two in research and development in order to provide a product so powerful that they increase in their resilience quite often. This is why these manufacturers offer such extremely long warranties lasting as much as fifty years or more. It’s because the products can withstand just about anything and are easy to maintenance. Painting them to keep up their good looks takes place around every 15 years. This offsets the Cost to Install fiber cement siding because once the siding is in place the home grows in value. There’s no long monthly or yearly wait, the minute this type of siding is installed and finished the property looks so good that the price and equity can skyrocket. Not only that but the insurance rates for your home should drop. The insurance companies know full well the benefits of fiber cement siding. Not only that but they’ll probably chip in with suggestions of some sort or another as to which type of siding to get and the properties for protection they themselves recommend. The manufacturers know that the foremost thing is that the siding protect your investment. However, the finer manufacturers have discovered ways to provide the type of siding that is so attractive that it stands on its own on the aesthetics level you expect. You can find that there are a wide array of siding solutions that include trims, sizes, and more. 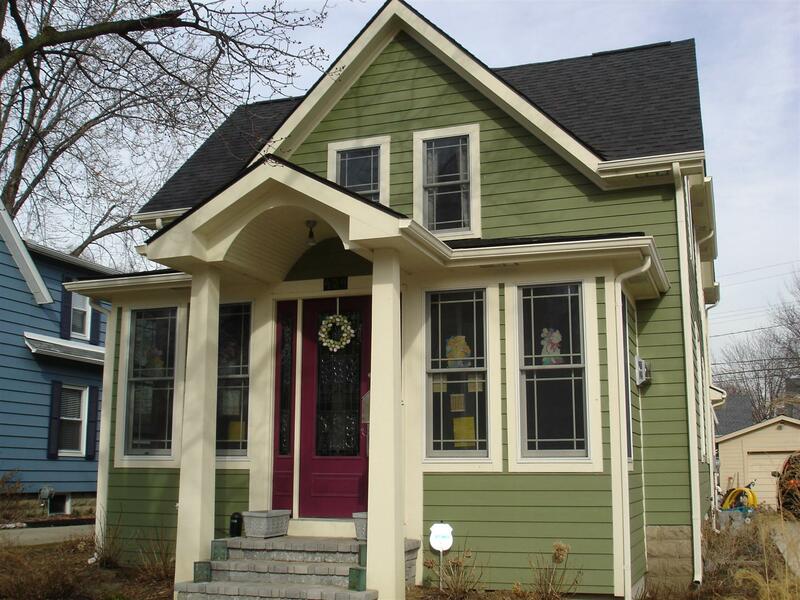 You can even use today’s computer technologies and software to design your own siding looks. This allows you to save lots on purchasing and installation. You get what you want but you keep in step with the safety and security that proper installation affords. 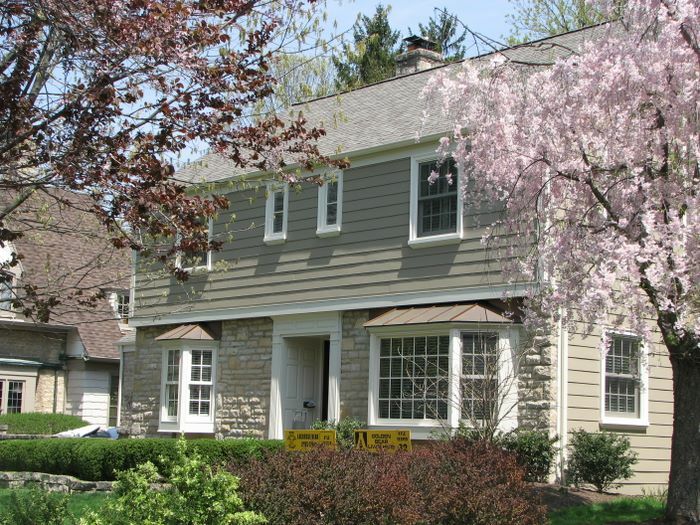 So take into account that fiber cement siding is the robust solution to your siding needs. The manufacturers and distributors know the challenges involved and in general take good to exemplary care of you. Not only that but the more established companies that are going to be around for that 50 to 100 year warranty will be there each step of the way. For example, James Hardie fiber cement siding comes backed with a 50 year warranty and 15 years on the pre-backed paint finish. Ever since fiber cement siding came into existence, customers have been left in amazement at how excellent the product is and how it not only met their expectations but far exceeded them. The overall benefits of what the siding brings is enough to convince anyone that this type of siding for the home or your property is the wise choice. First of all, fiber cement siding is specially engineered and tested with the most rigorous conditions in the laboratory and out in the field. The scientists and specialists who work on this type of siding make sure that they finished product not only meets the safety standards, but also the high quality of construction that the manufacturers and customers demand. They know that solid engineering with consideration of the challenges that the product will undergo are of paramount importance. They establish what is basically required and then work on up from there, testing and trying, adding and enhancing until they arrive at a siding solution that you can afford and apply. Unlike the traditional sidings like wood, vinyl, and aluminum, fiber cement siding has all the best parts of its predecessors and some new bonuses of its own. Take for example its durability. The composite is so strong that once applied it can withstand hurricane force winds and take those debris impacts with ease. Not only that but the scorching sun won’t damage it like wood or vinyl. Vinyl will warp sometimes making it in need of replacement. Same can happen with cold weather. If the vinyl is sub par and/or the temperatures unusually harsh, you can kiss your vinyl siding goodbye. Same goes with the heat too. A protective outer siding solution should take into account the need for protection against extremes in weather. The smart homeowner knows that his investment in a property is of utmost concern. Whatever is applied to the home should not only be of practical use but in the case of siding, it must be attractive enough to make the home feel and look just right and of course to raise the value and equity of the home. Fiber cement siding does just that. The engineers take this into consideration and you’ll be surprised at some of the various styles and configurations of the top companies. 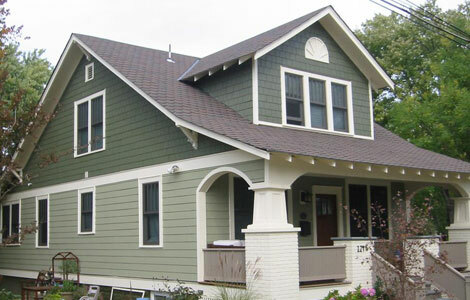 You can get siding that looks as good if not better than the historic homes. 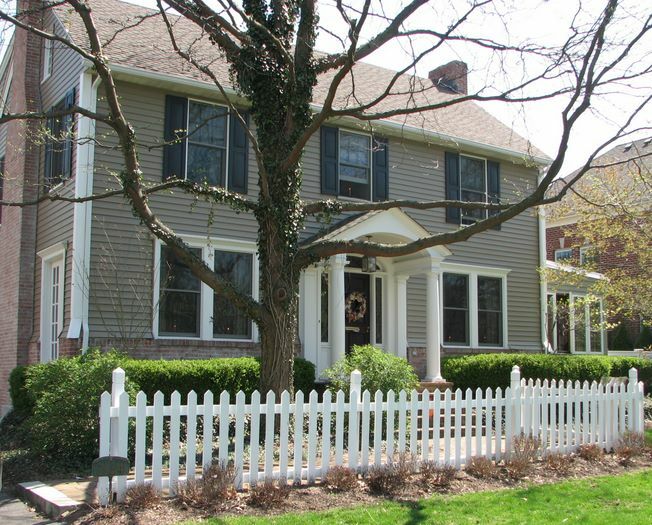 Matter of fact, nowadays you’ll find some of these historic homes having been resided with fiber cement siding in order to capture that look and add that extra protection. Another attribute of this type of siding is that it keeps the warm air in during winter and the cool air in during summer. We’re talking weatherization with muscle here. The strength of fiber cement siding is now legendary and that’s due to the careful study and applied technologies the manufacturers engage in. Sometimes it takes years, over a decade in many cases for the fiber cement siding experts to research and develop and test their products. They make sure that from the time it leaves their drawing boards, hits their labs, faces their technicians and administrative experts, the product has been rigorously tested to the point that they feel confident that you’ll be confident regarding their products. They have to do this because it means a better serviced customer and secure customer. The fact that you’ll be spending your hard earned money on this type of siding to protect your home, family, and investment calls for this kind of expert study and application. Aluminum siding is cheaper as is vinyl but both can’t compare overall to fiber cement siding. Wood is high end for sure and time tested but fire and insects and water and mold can destroy your siding sometimes with far more detrimental effects. That’s why the new fiber cement siding is the choice of the new millennium. It’s tested tried and true and comes often with warranties that are longer than most people live. You can’t beat that for confidence! So overall, fiber cement siding is stronger, more resilient, easily customizable, protective and an investment far exceeding other siding solutions.